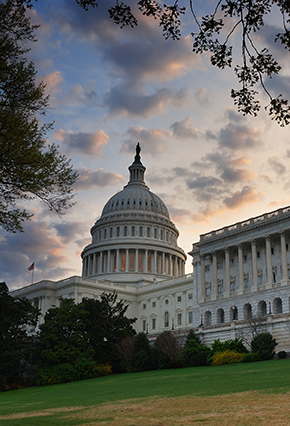 With Congress in recess for Thanksgiving week, we want to provide you with an update on the national elections, the organizational decisions that have been made for the 114th Congress and the evolving agenda of the lame duck session of Congress. During the next month, we will distribute periodic updates on congressional developments. In January, we will share our views on the outlook for action on significant legal and policy issues in the firm’s primary areas of practice. As of today, one outstanding Senate race and three unresolved House races remain. The last Senate election will be determined in a run-off election in Louisiana on Saturday, December 6th between incumbent Democratic Senator Mary Landrieu (D), who is currently Chairman of the Senate Energy and Natural Resources Committee, and her Republican challenger, Congressman Bill Cassidy (R). In the House, three races are unresolved. The election between Rep. Ron Barber (D, AZ-2nd) and Martha McSally (R) is headed to a recount while two House seats in Louisiana will be determined in a run-off election on Saturday, December 6th : Dr. Ralph Abraham (R) and Mayor Jamie Mayo (D) are vying for the 5th Congressional District seat; and Garret Graves (R) and former Governor Edwin Edwards (D) are competing for the 6th Congressional District seat. For the results of elections decided since our last election update was sent on November 6th, please click here. Congress will reconvene December 1st and is expected to remain in session through the weekend of December 13th at the latest. Defense authorization legislation that could also contain authorization provisions from other authorizing committees. A funding bill that some are calling a “CROmnibus” – a combination of Omnibus appropriations legislation containing those appropriations bills that have secured sufficient support from both Houses of Congress and a continuing resolution (CR) to extend at current levels those provisions which do not have consensus. The biggest unresolved issues are what portions of the package will fund the government through the end of fiscal year 2015 (September 30, 2015) and what portions will only provide funding through the first several months of calendar year 2015 (e.g. funding for immigration related matters). Failure to reach agreement on this measure will most likely result in a short-term CR of all programs. The current continuing resolution funding the government expires Thursday, December 11th. Tax extender legislation that will continue some expired and expiring tax benefits for businesses. The major issue with this legislation seems to be whether some of these provisions will be extended permanently and whether the remaining provisions will continue these benefits through only 2014 or through both 2014 and 2015. In the remaining two weeks of the lame duck session the current Senate Democratic majority is expected to make a major push to confirm as many Administration and judicial nominees as possible. Both Republicans and Democrats have held their internal party elections for leadership officers in the House and Senate for the 114th Congress, which convenes January 6, 2015. No incumbent in either party’s leadership ranks was defeated for re-election. The leadership slates for both parties in both Houses of Congress can be found here. The Chairmen and Ranking Minority Members for House committees for the 114th Congress have been determined, with Senate committee leadership yet to be determined. The Chairmen and Ranking Minority Members of the House congressional committees can be found here. The schedule for the Senate and House of Representatives for the 114th Congress has been released and can be found here.